Review: Fast-rising house producer Mark Hand makes his bow on Serbian stable Soul Print Recordings. Surprisingly, it's the Belgrade label's first release of 2018. It's rather good, too, with opener "Midnight" - an impeccable fusion of yearning Motor City electronics, Larry Heard smoothness and impeccably soulful vocals by guest singer Greg Blackman - providing the undoubted highlight. 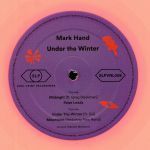 There's plenty to tickle the fancy elsewhere across the EP, too, from the ultra-deep house/jazz-house fusion of the Sio-fronted "Under The Winter", to the rubbery synth-bass, jazzy electric piano solos and delay-laden horn solos of Alex Hand hook-up "Mountains". Stellar stuff all told.